This was the squad taken to the World Cup. Was thinking about this earlier, and was wondering what people thought was our best squad now? I think that quite a bit has changed selection wise since the World Cup, there are quite a few changes that could be made. Ignoring injuries for a minute, and just focusing on the best squad, what do people think is our best 23? There are obvious changes to make, like Shaw, Gomez and Sancho coming in, but there are more as well that could justify a place. We have some the world's best young players right now and need to make better use of them. I'd kick out pointless old players like Smalling, Dier and Henderson. They aren't good enough now and they're only going to get worse. May as well bring in players like Longstaff, Maitland-Niles and Holding, who are already better and have room for improvement. Besides that, Trippier has been poor all season and doesn't deserve a place in the squad. Wan-Bissaka has been one of the best full-backs in the league and deserves his place. Would probably sooner select Chilwell than Rose and Wilson than Vardy too. Good options off the bench too with Sancho, Lingard and RLC. Thoughts? Sorry I got distracted and hadn't refreshed the page before I posted. Yeah, it's a fair point on the experience thing. I just think the sooner we get players like Henderson out the squad, the better. No worries. I wouldn't mind Holding instead of Smalling tbh, I take your point about getting rid of the older players who haven't been good enough, and Holding looked like he was progressing nicely before his injury iirc? Yeah, was our best center back until he got injured. Came at a really bad time for him. 4th centre back could equally be Lascelles (as someone mentioned). Forgot about him tbh. Very harsh on Wan-Bissaka that is. There are obvious bad choices in there (like not giving AWB a go, Keane picked, etc), but the most bizarre one in that squad for me is Delph, why would you put someone in the squad who is barely playing? There's not too many alternatives for Delph tbh. Ward-Prowse deserves a chance if he keeps up his recent form though. It really makes no sense picking 3 full-backs from one side, but AWB could at least have been in the squad instead of Rose (counting Walker as CB). Hope this is the starting XI, or at least that front 4. Not impressed with that squad at all. Trippier, Keane and Delph are all awful picks considering Coady, Wan-Bissaka and Ward-Prowse have been overlooked. Southgate said that both Winks and Lingard would be in the squad if they were not injured. Alli starts over Rashford/Sancho for me. Push Sterling out to the wing with either of those two on the other side. Rice and Henderson should be fine against the better sides but against teams that we expect to beat I think we can be more adventurous. You could stick RLC in there or go for a 4-3-3. Surely TAA at RB given Trippier's poor form? Plus Southgate favours 4-3-3 and 3-5-2, they're usually the only systems he plays, so one of the front 4 have to miss out in all probability. Alli is not ideal given he's just back from injury, but from that squad there's no one else I'd rather play there, don't think Barkley has been in good form at all. It's a shame Sancho has to miss out in my team, but one of the four had to in order to play how Southgate wants to. If England play 3-5-2. It’s a disgrace that Coady isn’t in the squad, over the likes of Keane + Tarkowski. Rashford is also pulling out of the England squad. Nothing new though, he’s just returning to Manchester for treatment. 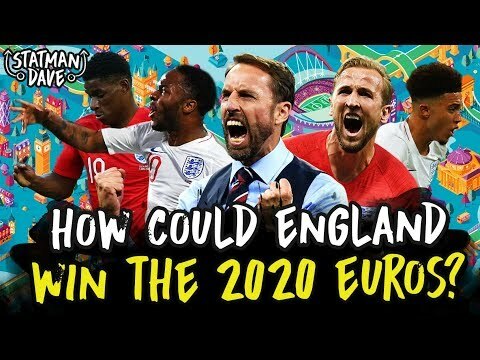 Thoughts on what team Southgate will pick today? Some team news: Dier's out after his injury, CHO confirmed to be starting, Sancho, Henderson and Alli face fitness tests. Ward-Prowse if Alli doesn't pass his fitness test. Thoughts? Edit: Just seen this, great news, he rightly should be starting games going forward. Just the one further change to the team I suggested, Rose in for Chilwell.